For almost 30 years, UTA has presented Staten Island JAZZ to critical acclaim and loyal audiences. UTA has long embraced Jazz – an American-born music genre – and founded Staten Island JAZZ in 1988 with the intent of both preserving and promoting Jazz arts. UTA has consistently delivered an extraordinary show with legendary artists. Past performers have included The Sun Ra Intergalactic Arkestra, Kenny Barron, Reggie Workman, Barry Harris, Bluiett, and more! UTA’s Staten Island JAZZ began as a series of community jazz workshops under the direction of internationally known jazz artist and educator, Dr. Makanda Ken McIntyre, which culminated in performance. The public performances held as an evening concert every October enabled audiences to learn more about jazz music, which at the time, was seldom showcased on Staten Island. 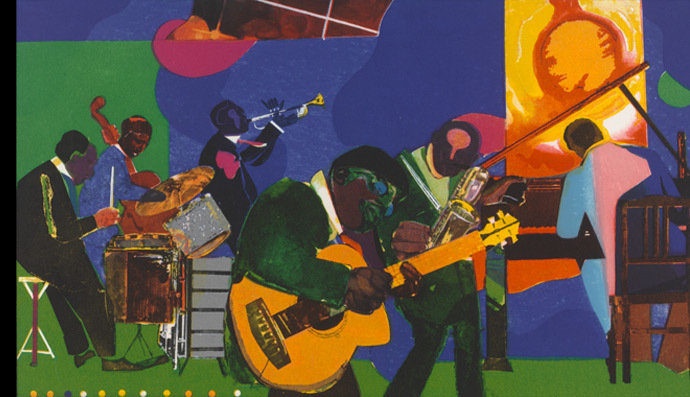 In 2007, UTA’s Staten Island JAZZ concert graduated from an evening event to an all day festival with jazz–themed workshops designed for the entire family’s enjoyment. 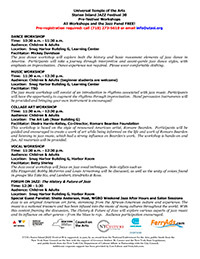 Enjoy FREE workshops the morning of Staten Island Jazz Festival 30. For more information, call (718) 273-5610 or email info@utasi.org. 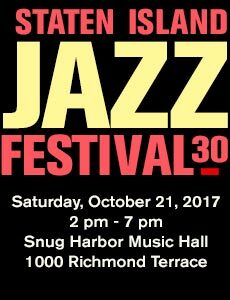 UTA's Staten Island JAZZ Festival 30 is supported, in part, by an award from the National Endowment for the Arts, public funds from the New York State Council on the Arts with the support of Governor Andrew M. Cuomo and the New York State Legislature, and public funds from the New York City Department of Cultural Affairs in Partnership with the City Council. Additional corporate support has been provided by Con Edison and FerryAds.com.